Charting the wheel is a strategy that has been used for a long time at casinos, with stories of it being employed as early as the mid-19th century. In fact, this is one strategy at the roulette table that can be successful and many have made significant profits on the back of it. However, there is one problem – it is highly unlikely to work in the 21st century read on to find out why! In this article, I start off by explaining how you would go about charting the wheel and how you could use it to your advantage. I move on to explore how the system has worked in the past and how it would work if tried today. I finish with an overview of the system itself. When attempting this system you are looking for anomalies in the wheel and hoping that the results of spins are not as random as they should be. This might be because the wheel is not seated properly, there might be a loose fret meaning the ball will not rebound as much when hitting this fret or the croupier might employ a similar method on every spin meaning there is some predictability to the spins. Is The Roulette Wheel Biased? To go about working out whether a wheel does indeed have a bias you’ll have to chart the results. The problem here is that you’ll have to record a large number of spins before you’ll be able to gain any significant information. Many casinos will feature a history box where they’ll display the previous results of the spins, maybe around 20, but this is nowhere near enough. To even start to find a pattern you’ll need to record at least a thousand spins and probably more. Having recorded these spins you might find for example that a certain number appears much more than it should, however, it is probably more likely that you’ll find an area of the wheel which hits more often than it should. So to take advantage of this fact, you’ll cover this range of numbers. Joseph Jagger, a British engineer, found exactly this scenario in Monte Carlo in 1873. He discovered nine numbers which appeared more often than any other at a particular wheel and used this knowledge to amass £60,000 over three days, which would amount to around $5 million in today’s terms. In more recent times Gonzalo Garcia-Pelayo would use much the same system. He would record the results of a great number of wheels and feed these results into a computer to analyze the results. He won a large amount of money at casinos across Spain and was equally successful when making the move to Las Vegas casinos. Unfortunately, this system is more difficult today than ever before due to change in the technology. 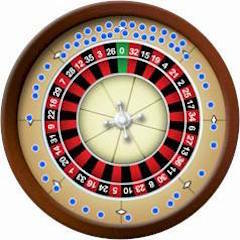 The modern roulette wheel is made to a very high standard and the chances of it having a bias are lower than ever, and the fact is that if there is a bias, the casino would almost certainly know about it long before you would. Even then, the casinos will re-calibrate wheels on a regular basis, so if there is a flaw it won’t last long. If there was a dealer/croupier who consistently followed a pattern, then they will be replaced as soon as it is noticed, making your hard work recording the spins essentially useless. If playing online at a virtual casino, you’ll effectively be charting the game to see if the random number generator is faulty – I can give you a quick tip here, it won’t be! 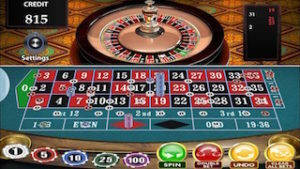 Online live dealer casinos will give you an opportunity to chart the wheel – however it might be very difficult for you to know if you are indeed playing at the same wheel on different occasions. You might have decided to chart a particular wheel, and have results for 3,000 spins. You look at the data and realize that one particular number appears more than any other, so you decide to bet that number from now. Here is the problem – on any trial of 3,000 spins at a completely unbiased wheel, some numbers will appear more than others, and some will appear less. What you’ll actually need is a statistically significant deviation from the normal and as such you’ll need to have a good understanding of statistics to analyze the data. Charting the wheel without analyzing the data properly could lead you to come to conclusions that are simply not true as it has happened to many players before. Charting the wheel is a strategy that has seen great success over the years, with many great stories of players breaking the bank. However, it is tougher than ever before and some would say it’s not possible. If you want to prove these people wrong, go ahead and try it, although be prepared for the fact that a lot of work could be ultimately proved fruitless.